Butter is better — so, toss those margarine bins this Thanksgiving and bust out a flavored butter that everyone will be sure to remember. Whether you make this recipe for your family Sunday dinner or for your extended relatives this upcoming Thanksgiving, it will be a holiday treat that you just can’t resist. Here I am telling you to make a flavored butter — but wait, isn’t butter bad for you? Well, not exactly. Here is why you should not avoid butter like the plague, but instead, welcome it into your life as part of a complete and balanced diet. Before we focus on the benefits of butter, let’s rewind slightly. Where did this myth come from? Why have “experts” deemed butter as an unhealthy choice for so long? Related: Supercharge Your Coffee… With Butter? In order to better understand this undeserved bad reputation, we must go back to the 1960s. That’s when research suggested that saturated fat contributed to heart attacks, high cholesterol and increased mortality. Research suggested that vegetable oils high in linoleic-acid were the solution — not to mention trends stemming from the industrial revolution. More recently, the original data was recovered. As stated by Vice, the facts just don’t add up. Although the participants who ate a diet heavy in linoleic-acid exhibited lower levels of cholesterol, they were twice as likely to have a heart attack, in comparison to the control group. At this point, margarine had already developed an interesting history to say the least. Before World War II, there was a butter and margarine feud that in many ways. It still continues to this day. As margarine began to bypass butter, by the 1970s, Americans were eating an average of ten pounds of heavily processed vegetable oil per person, each year. Luckily, within more recent years, butter has retaken the lead, as new evidence suggests that butter is the superior option and that margarine is actually worse. I know — it’s confusing and misleading to say the least, until you really think about it. Margarine is a highly synthetic combination of low-grade oils and chemical additives. If you were to see margarine’s true color, you would quickly change your mind. Margarine is synthetically dyed to mimic butter. That’s one more additive to add to the list. 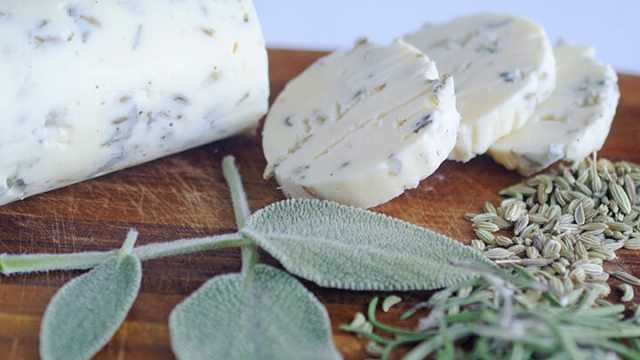 Compare this to all-natural, grass fed butter — something in which is more naturally produced, offering a number of beneficial vitamins and minerals. I think we’ve covered some of the bases when it comes to why butter is the superior choice, but does that mean that it actually provides health benefits? Here are some of the reasons why butter is not only safe, but actually healthy when consumed in moderation. Rich in fat-soluble vitamins — From vitamin A to vitamin E, butter offers key nutrients, unlike its processed counterpart. 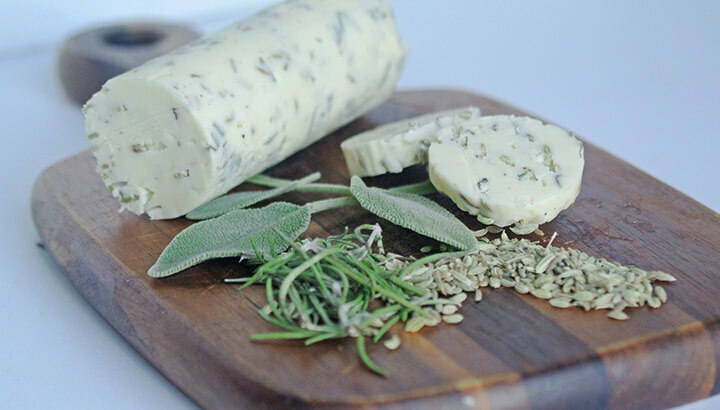 When choosing organic butter, produced from grass-fed cows, you also benefit from higher levels of vitamin K2 — reducing your risk of cancer, coronary heart disease, and other chronic diseases, while improving your body’s ability to transport calcium into bones and teeth. Offers health-boosting minerals — Butter is rich in a range of trace minerals, including chromium, zinc, selenium, manganese, and more. Of course, these contribute to positive health and optimal functioning. High in conjugated linoleic acid — CLA is a fatty acid that is naturally found within butter, especially among grass-fed cows. Often advertised as an effective weight loss solution, CLA is able to improve body composition and may even offer anti-cancer benefits. As you can imagine, the fatty acids found in butter are superior to the type of fats found in margarine — trans fats, being the worst of them all. I’m not saying you should wake up each morning and eat a stick of butter for breakfast, but don’t shy away from this well-loved food, especially when used as an alternative to margarine. 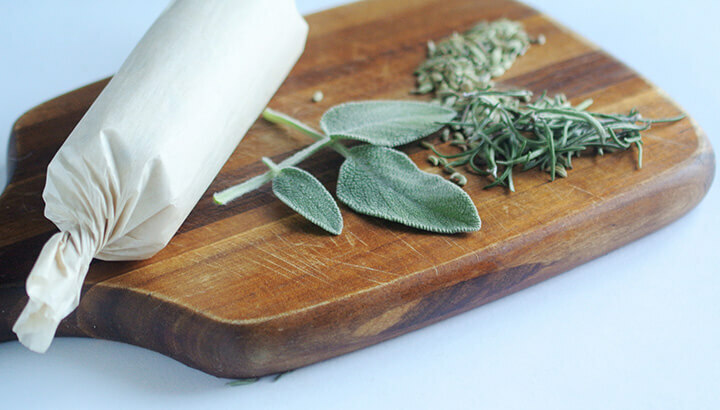 With the added benefit of herbs, you will not only boost beneficial properties, but also enhance the flavor profile. 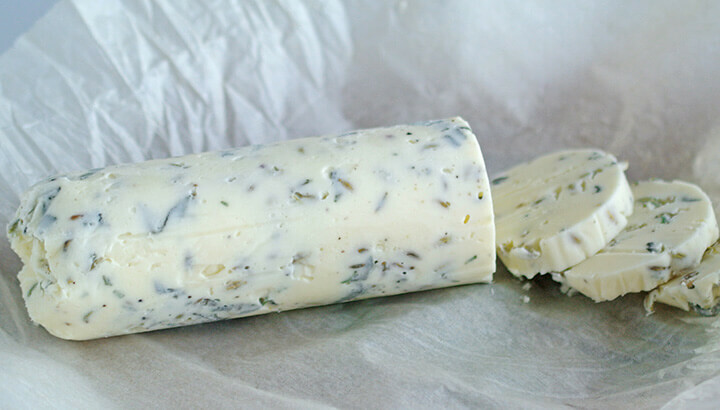 Compound butter is so simple, yet delicious and impressive. When going to a dinner party or a holiday meal, they are a great quick and easy gift that you can wrap with care. Don’t be afraid to get creative either. Add whichever spices, herbs or other flavorful ingredients to your recipe. 1. Simply toast the fennel seeds on low heat, adding your chopped sage and rosemary for the last minute or so. 2. Remove from heat, allow to cool and pour into a bowl with butter. 3. 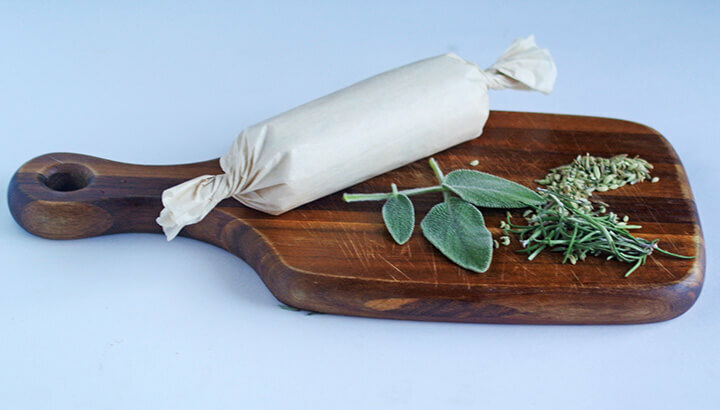 Using a mixture or wooden spoon, incorporate the sage, rosemary and fennel seeds so that they’re evenly distributed. 5. Twist both ends so that the combination is tightly closed. 6. Store in fridge for 2 hours before cutting slices. Hey Buddy!, I found this information for you: "Fall-Inspired Flavored Butter Recipe". Here is the website link: https://www.thealternativedaily.com/autumn-flavored-butter-recipe/. Thank you.